4 hour Big Sit, led by Chuq von Rospach at Shoreline Lake. Click the button above to register for this team, or the button to the right to donate. 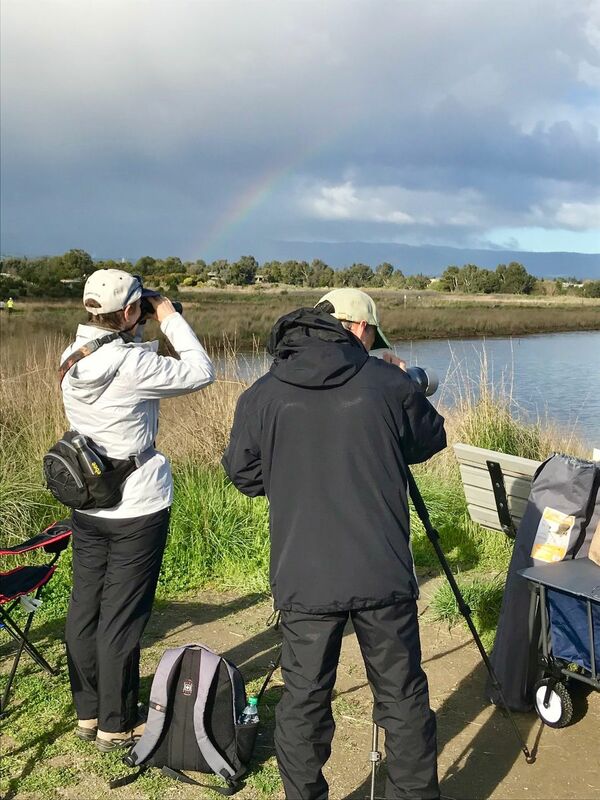 Come join us in a big sit in Shoreline Park for a morning of birds, talk, and teaching as we watch the birds in this beautiful location. Big sits are stationary watches so they are the perfect way to get started. We will have good views of the lake, slough, and salt ponds and so we should have a great variety of birds to discover. Please note that you do not have to be able to attend all 4 hours of a big sit to take part, stopping by for just an hour or two is fine.